WASHINGTON – The director of the U.S. Fish and Wildlife Service told a congressional committee Wednesday that his agency would restart a Mohave County rainbow trout hatchery if it can fix a broken pipeline that hobbled the program. 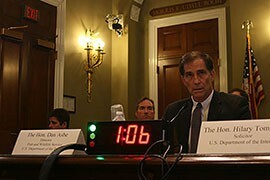 But Director Dan Ashe said fixing the pipeline depends on several factors, including funding. 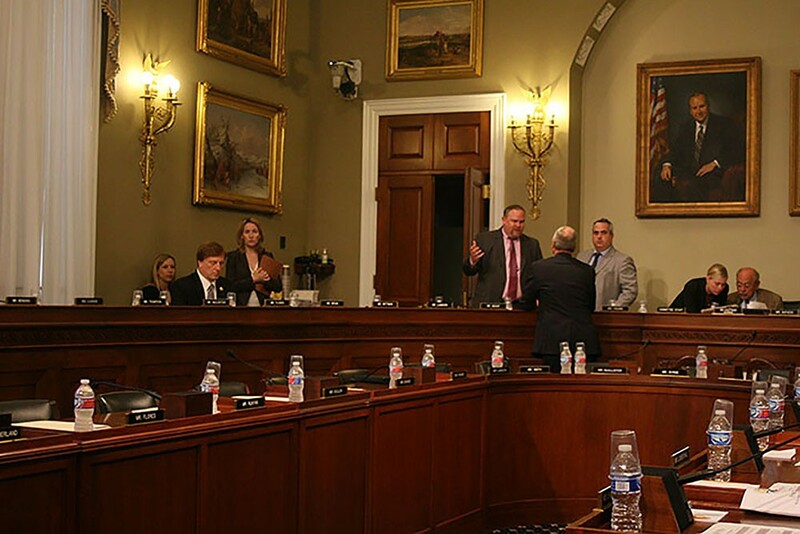 The comments came during pointed questioning by Rep. Paul Gosar, R-Prescott, at an oversight hearing before the House Natural Resources Committee, which has been sharply critical of the agency. Mohave County officials testified this summer to a Natural Resources subcommittee that if trout are not produced at the Willow Beach hatchery – it still produces endangered fish species – sport fishing in the region could dry up. They said that would have a devastating effect on the area’s economy. It was one of several instances of sparring between Gosar and Ashe during the hearing, over everything from the cost of repairing the pipe to whether the trout hatchery program had even been suspended in the first place. Still, Ashe told the Prescott Republican that his agency will restart the trout program if it has the funding and can fix the pipe. “If the pipeline is fixed, we will reinstate the rainbow trout production,” Ashe said. The agency has worked with local officials and others to find ways to produce trout for the hatchery, Ashe said. Fish and Wildlife’s New Mexico-based point main on Willow Beach, Stewart Jacks, said he is exploring solutions with Mohave County officials and personnel from the Arizona Game and Fish Department and the National Park Service. Gosar said after the hearing he was frustrated with Ashe, who he said has been “playing the game.” Wednesday’s hearing was about “making sure the person on Fish and Wildlife Services can’t speak out of both sides of his mouth,” he said. He introduced a bill this summer, the Fish Hatchery Protection Act, that would require congressional approval before the service could “close, reprogram, repurpose, decommission, significantly alter or move to caretaker status” any hatchery within the National Fish Hatchery System. The bill was approved by the full committee on July 30 and sent to the House. Jacks said the agency is slated to release 20,000 rainbow trout at the Willow Beach hatchery in mid-October. And while it is too early to predict when the pipeline could be fixed, he is optimistic it will happen. 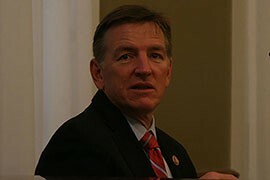 Rep. Paul Gosar, R-Prescott, before a House committee hearing in which he grilled the director of the Fish and Wildlife Service over its decision to halt rainbow trout production at a Mohave County hatchery. U.S. 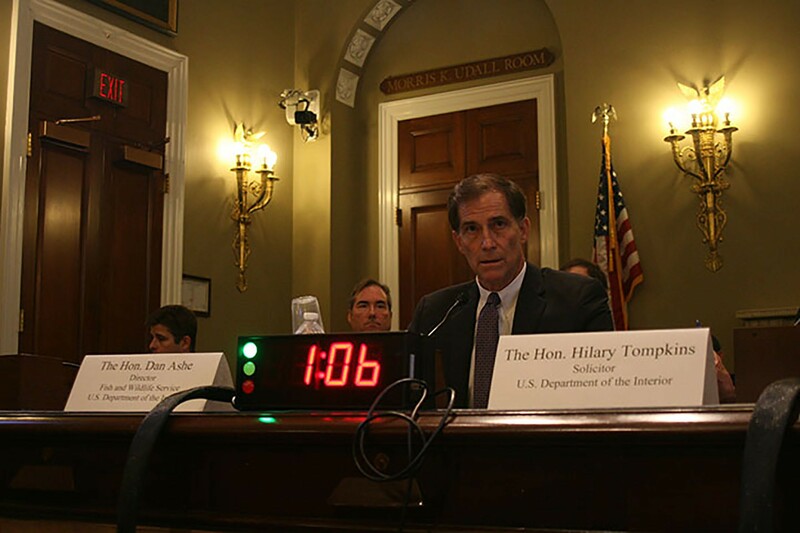 Fish and Wildlife Service Director Dan Ashe told lawmakers that the service would return rainbow trout to the Willow Beach fish hatchery if needed repairs can be made. 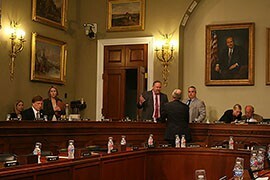 The House Natural Resources Committee oversight hearing Wednesday focused on what members called the Fish and Wildlife Service's lack of responsiveness to committee inquiriies.